We have had our eyes on this one for a while and are so glad we can now show it off at all our summer events this season. This stunning gold butterfly necklace from Bluebird Boutique is the perfect accessory for a wedding outfit and also nails the 1970s trend. Try piling on stacks of wooden bangles with a floor skimming maxi and make a real entrance. 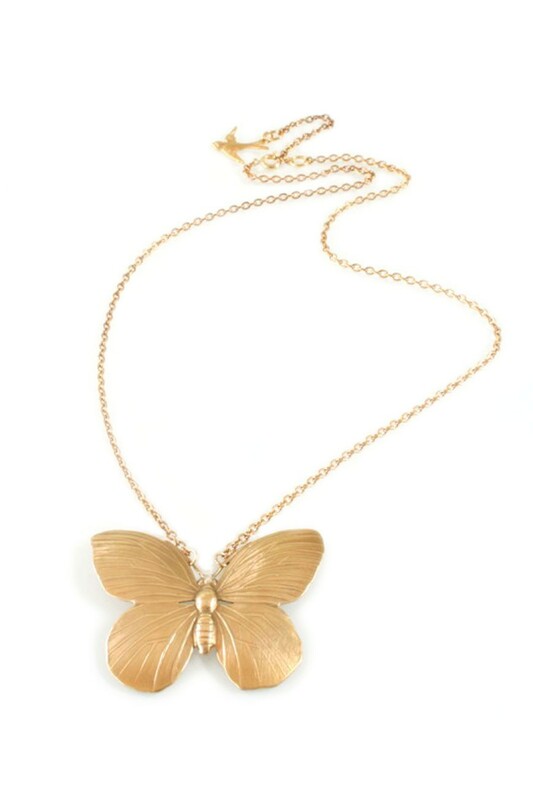 This 1970s style long necklace comprises detailed butterfly pendant measuring 5cm in width on gold link chain. The necklace has a length of 63cm and fastens to rear with claw clasp. The gold butterfly necklace is made from 24ct gold plated metal.